Pine Mountain Club becomes very popular in the winter after a snow storm. Thousands of folks from LA and Bakersfield drive up to PMC to see and play in the snow. The picture above is a recent photo taken on January 21 2019, Sunday. 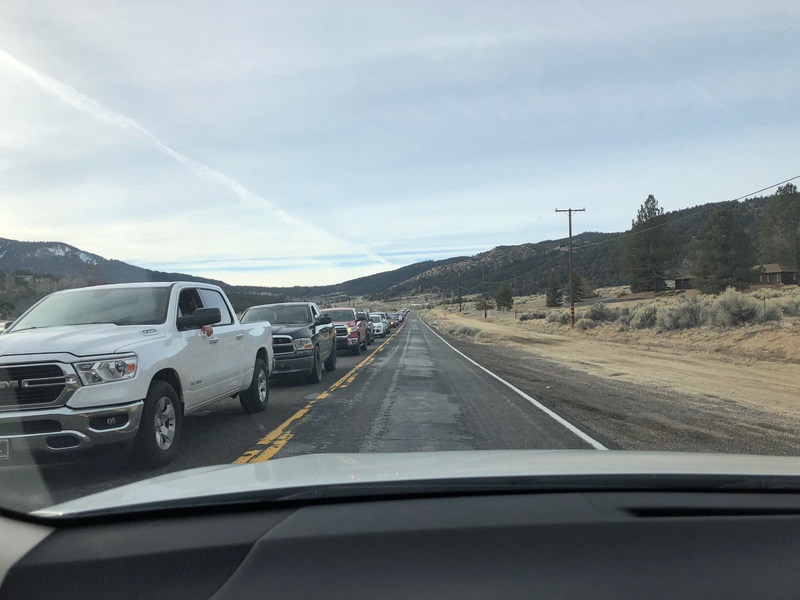 The road headed into Pine Mountain Club was closed at 2 pm for residents only, however the road back to the freeway was bumper to bumper for miles, filled with visitors heading home after a day in the snow at Mt. Pinos and surrounding areas. 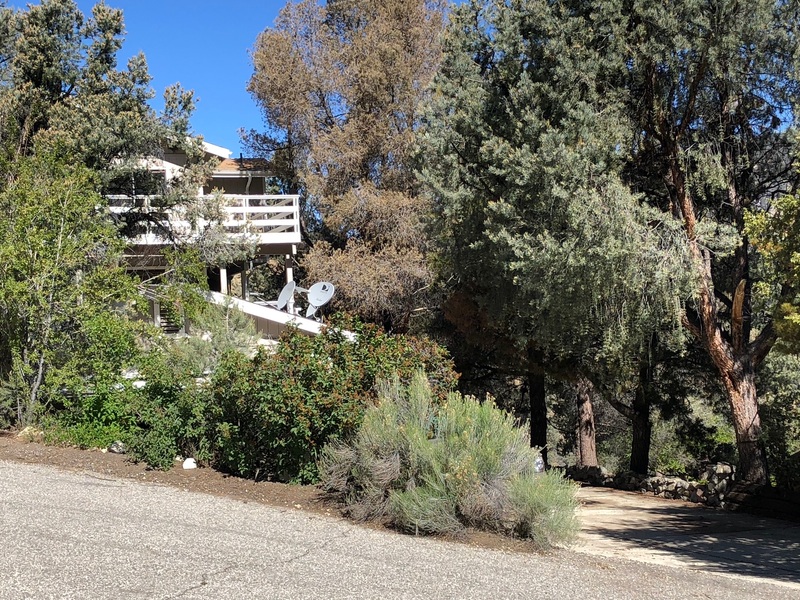 Pine Mountain Club is a prestigious mountain enclave located a mile high in the Los Padres National Forest outside Frazier Park, Pinion Pines and Lake of the Woods. The community is situated at a higher altitude than Denver Colorado. The area is so secluded it was once rumored to be the choice location to hide those participating in the Federal Witness Protection Program, yet only 1 Hour From Los Angeles. Homes here are very coveted and inventory is typically low. This mountain retreat at 2405 Yellowstone Court is available now. This highly sought after home boasts the most breathtaking views from each of its 3 decks. It is situated on a quiet cul-de-sac with national forest in the front and back. Yellowstone Court is one of the most private streets in PMC, away from the Village Center and Country Club. The home is tucked away from the dead end street so there is virtually no traffic. The street is paved and maintained, including snow removal, by the association, a service included in the monthly home owner dues that are paid by the landlord. The driveway is concrete and extra wide, leading to a double sized two car garage with a remote opener. If you are interested in the house visit our page for prospective tenants and provide the information requested in order to schedule a viewing. 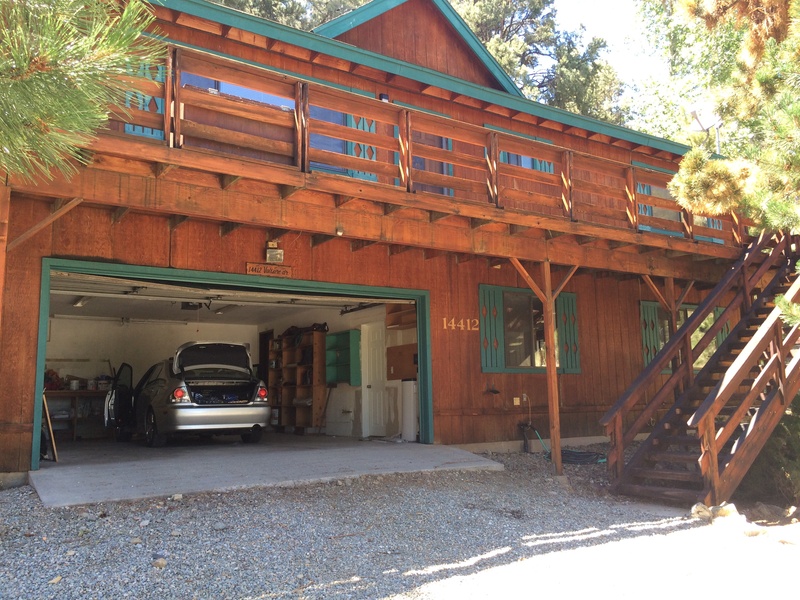 This one of a kind Pine Mountain Club residence rents for $2500 month. This is your chance to live in the Pines with blue skies, clean Mountain air, cool nights, peace and quiet. The home offers a two car oversized garage and a unique in-Law apartment on the ground floor with its own private entrance, kitchen and bathroom. The home is near popular hiking trails and nature abound. It has a large man cave or family room with its own wood burning stove and a full wet bar. Large enough for a pool table. For additional information visit 2405 Yellowstone Court in Pine Mountain Club. What Makes Pine Mountain Club an ideal place to live? It’s possibly what it doesn’t have. It doesn’t have any traffic, it doesn’t have large shopping malls and strip malls on every street, no homeless people begging at the intersection and it has never had a high speed police chase broadcast on the local news. 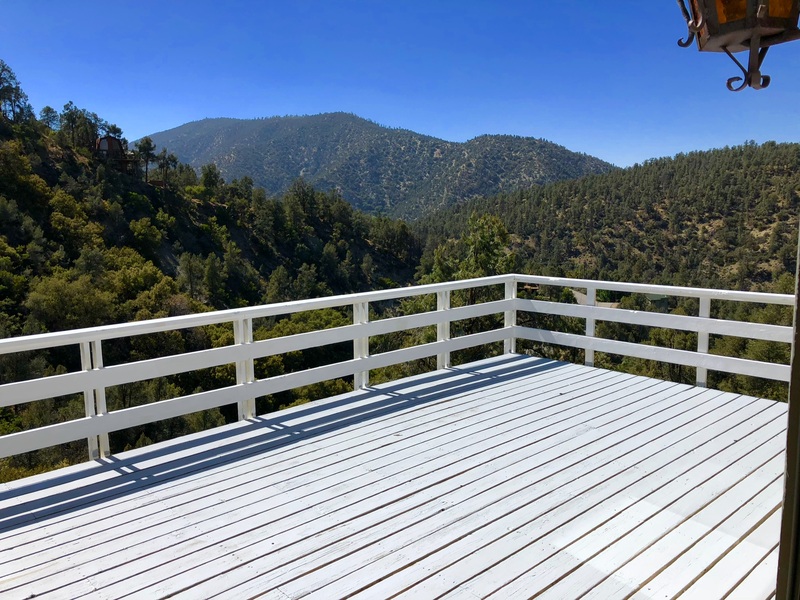 If you are thinking about leaving the city for a new life in Pine Mountain Club you are not alone. Many former city dwellers have taken the plunge to start living life where the air is crisp and clean and traffic headaches are nonexistent. The PMC community is a hidden gem only one hour from the San Fernando Valley yet when your here you feel a million miles from the big city. Big city amenities are limited. There is no Costco in Pine Mountain Club. Shopping must be done in advance and is something planned. There are markets in the area, however choices and prices are not as favorable as living in the Valley or other large city. There is no corner Starbucks in PMC. The good news is that any inconvenience is more than made up by the lower home costs, lower monthly rent and higher quality of life. The snow. Make sure you have snow tires. Many people who make the transition to Mountain living do not plan for the cold weather. You will use the heater more in the winter so fuel costs are also a bigger concern. Most homes run on propane which needs to be refilled periodically. Internet. Choices are limited, however there is high speed internet available. If you use the web for your work, consider the providers in your area. Cell coverage. Some carriers are not well represented in PMC. Although there is a new cell phone tower, make sure your provider offers good coverage. Wildlife. There are bears, deer, raccoons, and other critters. Be careful when driving, especially at night, as deer cross the road regularly and can cause major damage. Avoid leaving pet food outside. Keep trash cans covered. Fresh air, quiet nights, four seasons, star gazing, hiking, a sense of community, all of these things are part of why people who live here never want to leave. Let’s face it, if you have lived in Los Angeles for any period of time you begin to hate the traffic, the crowds, the high real estate prices among many other things. This is not the case in PMC. People love living here because they do not have to deal with everything bad about living in the city. Come check it out for yourself. This time of year many are looking for a way to escape the big city and seek a respit in the snow and clean mountain air. 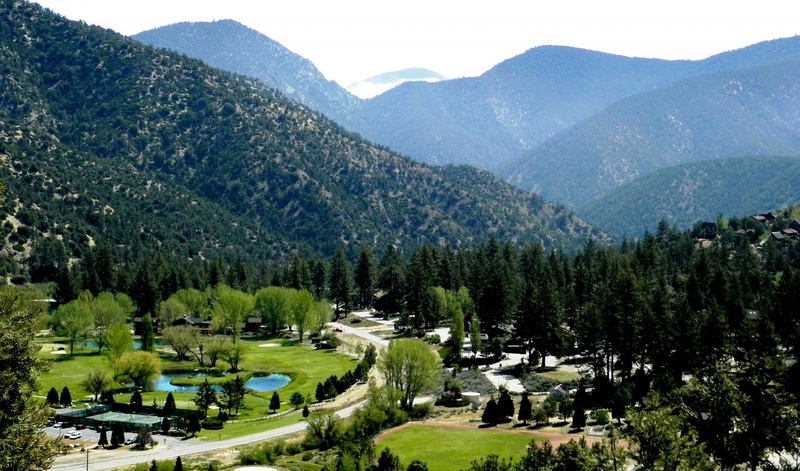 The lovely area of Pine Mountain Club may be just what you are after. The area has winter activities such as snowboarding, cross country skiing and tons of hiking. The region has many trails that surround the golf course and clubhouse. In addition, the local hillsides offer an opportunity to snow sled and slide down the powder. Many who visit the area in the winter decide to stay full time. 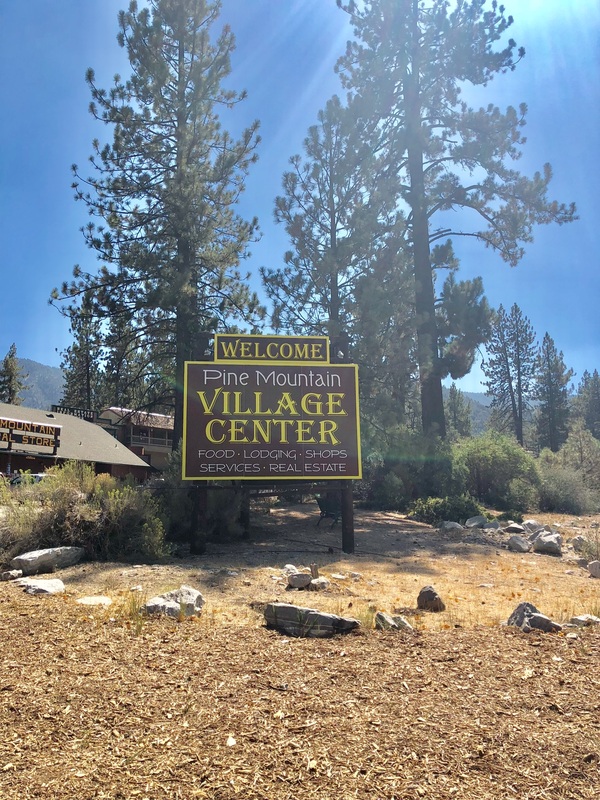 If you are searching for a home in the peaceful forest community of Pine Mountain Club you have come to the right place. With a mild climate in the summer, clean air and plenty of outdoor activities, the region is an attractive area for families or just those looking to get away from the hustle and bustle of Bakersfield and LA. Homes in the area are affordable compared to the surrounding cities and commutes are in the one hour range to most major metropolitan cities. Rents are between $1,000 and 2,000 for most family homes. A small cottage or cabin can go for $500. Rental properties are usually located near a forest or tree lined street, pine trees abound. The local clubhouse is there for golf and tennis with swimming in the summer. Restaurants are nearby and a store for groceries is 10 min away. Frazier Park is 15 min which has commercial stores and shopping. The outlet malls in Lebec are 30 min away. Pine Mountain Club Rentals are available full time or for weekend use. The owners are very friendly and pets are welcome in many cases. Security is there 24 hours with a patrol of the local streets and roads. For many, life in the mountains is pure heaven on earth. For others the lifestyle is not cared for given the challenges of living outside of the big city. Recently, I spoke with a PMC resident about the pros and cons of life in the forest. Among the most common complaints is the lack of first class dining options. Although the country club has seen great improvements over the years, it can sometimes lack the variety and quality found in big city restaurants. That is changing. The roads in Pine Mountain Club and surrounding areas can get quite icy during the winter. According to the experts, the best advice for driving in bad winter weather is not to drive at all, if you can avoid it. Don’t go out until the snow plows and sanding trucks have had a chance to do their work, and allow yourself extra time to reach your destination. If you must drive in snowy conditions, make sure your car is prepared and that you know how to handle road conditions. It’s helpful to practice winter driving techniques in a snowy, open parking lot, so you’re familiar with how your car handles. Consult your owner’s manual for tips specific to your vehicle. PMC does a pretty good job of keeping snow off the local roads but ice is always a problem. All Pine Mountain Club residents know that when winter arrives it is best to avoid driving at night and after any rain. The winter season is fast upon us and the rental inventory is somewhat low. There are a number of short term rentals available for weekend and full week use. Remember to book early for the holiday weeks as homes become harder to find the closer you get to Christmas and Thanksgiving. Pine Mountain Club is indeed a Wonderful Place to live. The community offers 24 hour security patrol to keep out the riffraff, community swimming pool, mountain air, golf, camping, hiking and a local community vibe that no longer exists in Los Angeles or Bakersfield. 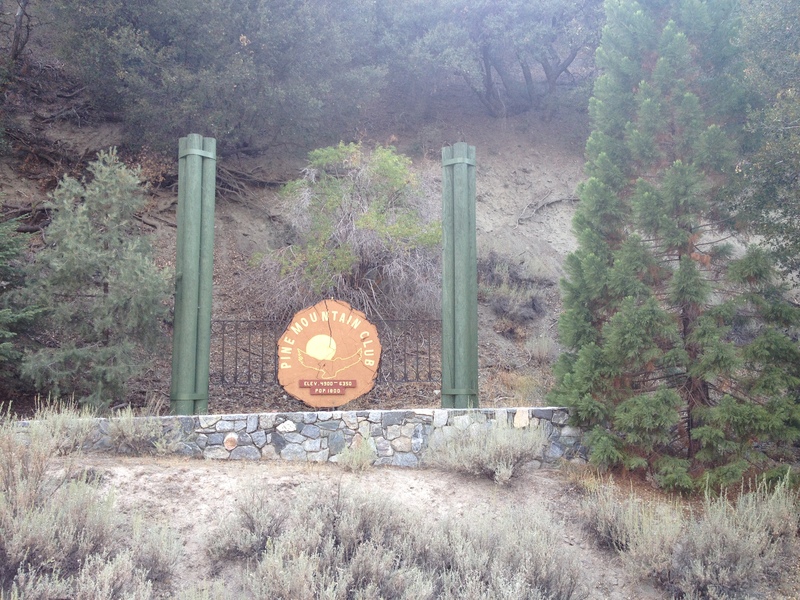 What makes Pine Mountain Club different from any other community? It is a private homeowner association that strictly regulated the look and feel of the homes and disallows conduct which is not conducive to a peaceful, beautiful, tranquil living environment. The schools are top notch and the area is patrolled 24 hours a day by private security. 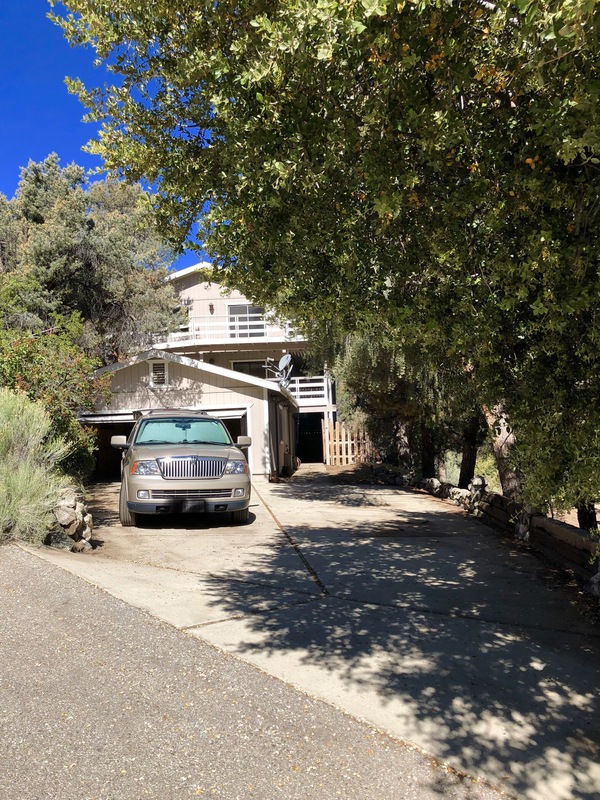 Anyone looking for a home to rent in Pine Mountain should visit the area and spend the day at the country club, play a round of golf at the local course and enjoy a hike in the local mountains. Homes for rent in this area are affordable compared to Los Angeles yet the commute is an hour to Santa Clarita or Ventura. The community was originally used to ranch cattle, in fact some early photos of PMC show cattle grazing in the area which is now the golf course. The community was developed and lots were sold starting in the 1970’s. There are two primary ways into the community. One is from Interstate 5, the other is the “back road” that comes from Ventura, Ojai and the central coast. Shopping is somewhat limited, as intended. There is a small food market and liquor store in downtown Pine Mountain Club but larger supermarkets can be found in Frazier Park. There is a gas station, post office and numerous small shops, churches and restaurants. What should one be aware of if considering renting a home in Pine Mountain Club area? First, you should be familiar with your credit score. Owners will scrutinise a prospective tenant’s track record in paying bills on time. Second, a deposit of typically twice the monthly rent will be required. Lastly, if pets are in a he family household, be sure the property will accept them prior to applying.